Sub-ohm vaping has hit social media and has vapers interested. According to “Ohm’s Law”, all electricity should be taken seriously. The first rule of thumb is safety and caution since an ohm is a measure of electricity. The older atomizers and cartomizers had a range of 1.5-2.8 ohms. Sub-ohm mods use atomizer coils that produce resistance of less than 1.0 ohm resulting in bigger clouds, intensified flavor, and hotter vaper. The laws of science state that non-variable voltage sources, like a battery, produce more wattage by lowering the resistance of a circuit. Older mods required using a rebuildable atomizer to produce the coils. The newer tanks allow consumers to vape at sub-ohm levels without rebuilding their atomizer. Newer tanks produce the effects of a rebuildable dripping atomizer without the hassle. Enthusiasts once had to use rebuildable atomizers allowing them to create their own sub-ohm coils out of wicking material like cotton or kanthal wire creating unregulated mods using a 18650 battery for powering and heating the atomizer coil. Mods now use safer regulated box mods and sub-ohm tanks instead of building their own. Regulated mods have restrictions that prevent them from firing an atomizer with very low resistance. Before sub-ohm tanks, RDA’s (drippers) were the only method available to sub-ohm vapers. They were used with mechanical or box mods. Drippers are usually smaller than tank atomizers. Ejuice is dripped onto the coil and wick, and then re-dripped every few puffs. Want to build your own coils without dripping? This sub-ohm method is for you. An RBA is a clearomizer. The user must build the coil(s) inside. RBA users can custom design any coil desired and produce any vaping experience. Not all RBAs are for sub-ohming. Some do not have the airflow controls and insulation necessary for sub-ohm vaping allowing the RTA to produce very hot vapor that may burn your lips. This is similar to RBA vaping, but uses manufactured disposable coils. Some sub-ohm tanks have optional RBA heads. Build-your-own coils or use pre-built coil heads, this technology is the basis for the newer mods. The Pros and Cons of Sub-Ohm Vaping? As with most things, there are pros and cons. 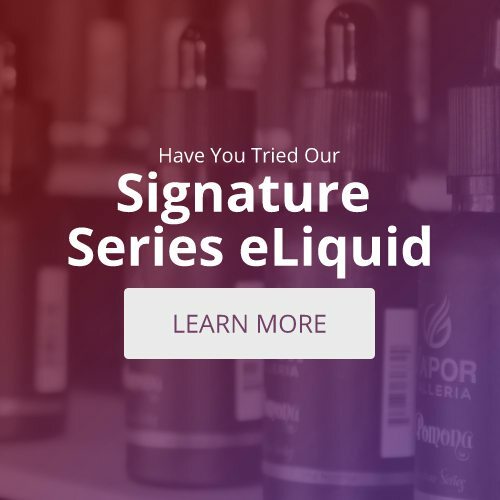 The pro’s include bigger clouds, hotter vapor, and more intense flavor. The RDAs, RBAs, and sub-ohm tanks have airflow controls that cool the e-juice to avoid injury since juices burn hotter. They also taste fuller, richer, and more intense. The powerful mouth-to-lung hit could be a negative, but some love the added ‘kick’. Another possible negative might be “sneaking” a vape break at work. Large plumes are hard to hide. Because sub-ohm tanks use more e-juice, it’s more expensive. Newer sub-ohm tanks are safe and reliable but those new to vaping should know what they are doing before starting. More power requires caution. Follow instructions carefully including battery size. What is Sub-Ohm Vaping, and Why Should You Care?